Leeton Shire Council formally announced in late 2015 the management changeover of Eventide Homes to Argyle following the retirement of the long-standing manager. Located at Binya Street in Yanco, the 14 brick-veneer units were established for low-cost independent housing for aged persons in 1973, with the last unit building being constructed in 1996. Yanco is located 5kms outside of Leeton, approximately 45 minutes from Griffith, NSW. The tenants at Eventide Homes have a strong bond, the sense of community is strong and most have called it home for over eight years. The central location is of importance to the tenants, to be close to family and friends. Many tenants live alone, are frail with reduced sight and hearing. The average age is 75. After taking over management, Argyle quickly rolled out improvement works. Many of the properties were very run down and the living conditions poor. Work included replacement of coin-operated electricity meters, internal and external painting, handrails, hard-wired smoke detectors and floor coverings. A Tenancy Officer now regularly visits the complex to meet with tenants. All the residents seem happy to have Argyle as not only an affordable accommodation provider, but also there with a high level of support for tenants and with maintenance of their properties. 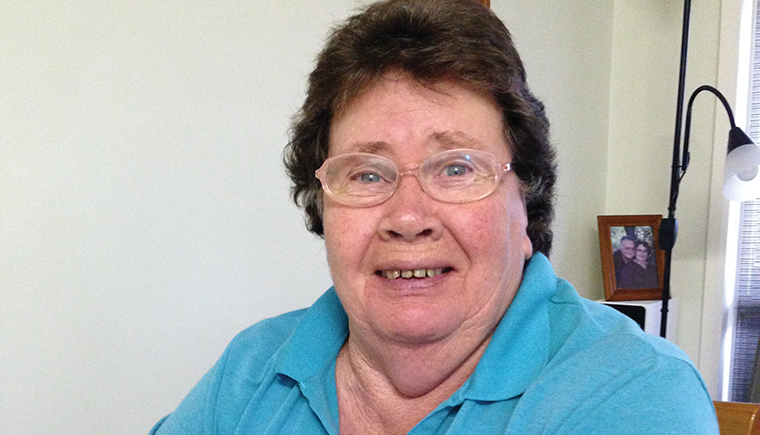 Rhonda was born and bred in Yanco, She came off a farm and moved into ‘Eventide Homes’ for her twilight years as she calls them, with her late husband 10 years ago. She is very proud of her home, being a grandmother and the garden she has established in the common area for all to enjoy. “Happy as a pig in mud” with the changeover of management, Rhonda appreciates the speed of service Argyle delivers – her example being having her heating system fixed within 24 hours when it broke down in the middle of winter.